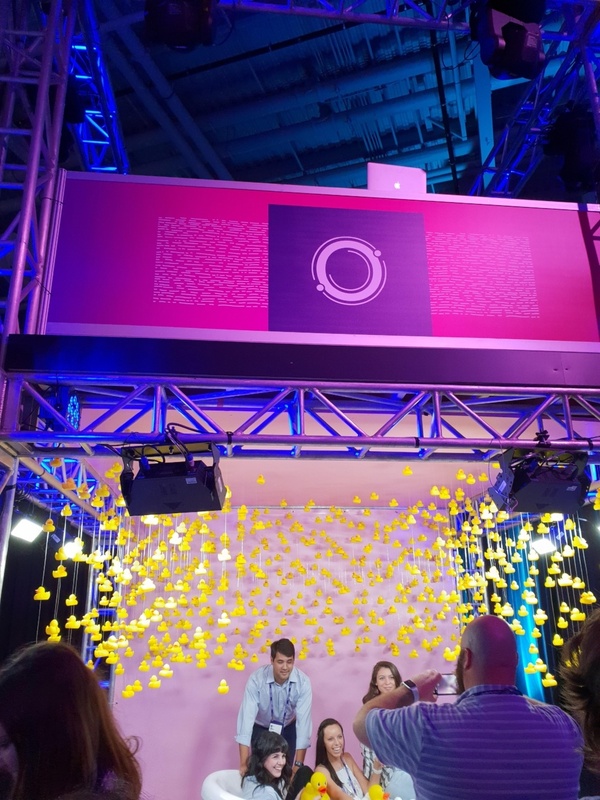 Earlier this month, Chloe and Leon from the Events 720 team travelled to Boston, Massachusetts to attend the Hubspot Inbound 2018 event. 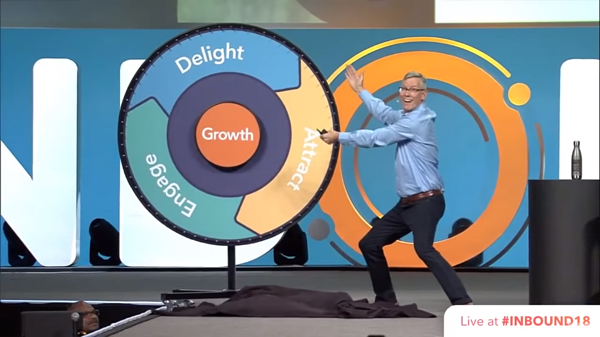 Inbound is primarily a marketing conference, however there are many sessions and speakers who touched on many different facets of marketing, sales and leadership issues that a business will face. We learnt a lot and we’ve started creating our plan on how to implement all of the changes that we want to make to ensure that our business is as efficient and effective as possible. With so many great sessions being held at Inbound it was impossible to pick from 1 breakout session per time slot from the 20+ that were on offer. Some how we managed to choose the best sessions for us to attend, and we really learnt a lot. Below are the key messages that we have taken away from Inbound, as well some insight into how we are planning on implementing changes to ensure that we are the best business we can be. We’ve all heard the old adage “the customer is always right”. In retail the motto is that the customer always comes first. Often in professional and service businesses we forget that the customer experience is paramount to how customers will spend their money. One of the best presentations came from the Hubspot founders, Brian Halligan and Dharmesh Shah. They reiterated that customer experience is one of the single most important things facing all businesses today. Specifically, there is a focus on removing friction within a business process for the customer to purchase products. Removing friction from business practices means reducing the amount of roadblocks that would prevent your customer from purchasing your products. Having things like pricing pages that make it easy for customers to find the right pricing information for products without having to contact a company, making it easy to cancel an order or exit a contract and removing any unnecessary buying steps. Customers are searching for an easy way to do business with a company, and with the use of the internet they are able to keep searching until they find that company. We are going to implement a few changes to remove the friction from our process. We are going to put up pricing information, something that is highly coveted in the exhibition industry! We are comfortable with what we charge for our items, we aren’t the cheapest, but we don’t rip customers off. We offer fair pricing on all of our products, and so we want to be transparent for companies who are pricing an exhibition stand. We are implementing a focus on customer service and improving processes to make things easy for our customers. Often in exhibitions you organise a stand with a stand builder and they offer minimal communication prior the show. You’re stressed, wondering if your exhibition stand is going to turn up and look any good. We’re creating a process that will use automated emails to keep you in the loop with progress reports and photos, so you know exactly where your stand is up to in the production process. We have already established a great production process on how we build exhibition stands, we are going to use technology to help communicate this better to our customers. There was an abundance of activations at Inbound! There were also 24,000 attendees, so imagine if they only had one or two activations, chaos! Instead the organisers opted for multiple activations, but there weren’t many spots at each activation. This encouraged attendees to explore the exhibition space as there were scattered activations and they may have to wait for their turn. Most of these activations had nothing to do with the main purpose of Inbound. They weren’t designed to garner information from attendees, they weren’t specifically related to what we were learning about, but they were fun, and they kept the attendees engaged in the exhibition space where the exhibitors were selling complimentary products to the Hubspot software. These activations featured relaxing activities such as swinging in hammock style chairs, or having a fun picture taken with rubber ducks in a bath to having a massage! With so many great interactions there was always something fun to do while waiting for a session or to speak with an exhibitor. We have taken note of the activations and we’re using it as design inspiration for future stands that want to have activation areas for attendees. All of these interactions could be incorporated into a stand and designed in a way that would help drive your engagement and your experiential marketing. This will leave your customers and visitors to the stands with a great experience of your exhibition stand, and importantly your brand. Each of the keynote speakers spoke for an hour and each breakout session was 45 minutes in length. There was a great deal of information that was covered during this time. Each session provided great insight into how other companies are using particular strategies to boost their sales, improve customer experience and are easily found using different marketing efforts. We both tried to cover a wide variety of sessions that would suit our interests and skills. For those who aren’t familiar, Leon is our Managing Director and he handles most of the sales process, as well as leadership opportunities. Chloe is our Marketing Manager and handles all of the marketing and has started working on the sales quoting and process. These sessions were a great insight into how we can run our business better, how we can provide better value to customers and ways that we can use emerging technology to improve our processes. We have started planning ways that we can improve our marketing efforts like SEO and begin a video marketing plan where we can show off what we are building and the finished product. We are working on ways that we can streamline our processes and incorporate new technology such as automated emails to improve communication with our customers. We are implementing the things we learnt about increasing customer satisfaction by establishing a plan for increasing communication during the building process. Our current customers often tell us that we provide more communication than our competitors, but we want to strive to improve this and be the best. We are also going to trial new methods to assessing interaction with our brand. While we loosely use things such as lead scoring, we have no quantifiable way to determine who we should contact. Because of this we miss opportunities to speak to potential customers. We’re going to change that by changing our process. This one made us laugh. Particularly as Leon and I have a toddler, we can see the similarities between growing a company and parenting a small child. I’m sure most people who have done both will also see the humour. This was a key focus on almost every key note speaker. We listened to Beth Comstock talk about how she took risks in her role as Vice Chair of Business Innovations at GE. Importantly, not all of these risks or ideas paid off. Some failed and failed miserably. She spoke of how she thought she would be fired after some of the worst mistakes she made, but she highlighted an important distinction with her mistakes and failures, they weren’t integrity based. This is such an important distinction. Often, we are afraid of failure and this prevents us from acting. Failing because you took a chance on an idea, rather than failing because you compromised your integrity are two different issues, and we shouldn’t let the fear of failure stop us from acting. What was refreshing to hear from keynotes such as Beth Comstock and Scott Harrison was that failure didn’t inhibit their future success. They felt the low of failure, they didn’t try to suppress any negative emotions that come following a failure. They refused to be victims of their own circumstances and they decided to use the failure to propel themselves forward. During Troy Carter’s Spotlight session, he spoke about the failure during the beginning of his career. He spoke of wisdom from his grandmother, while he was feeling particularly low about the failure, she said, “you can’t fall off the floor”. Even though you can feel so low when you fail, the truth is, failure provides you a solid base to rebuild, to reimagine and to rework. Many of the speakers at Hubspot provided examples of how you could use failure to propel you forward in business. We often don’t see business this way, we only see business as needing to constantly be successful to move forward. The only problem with that idea is that without failure you don’t learn how to be better. 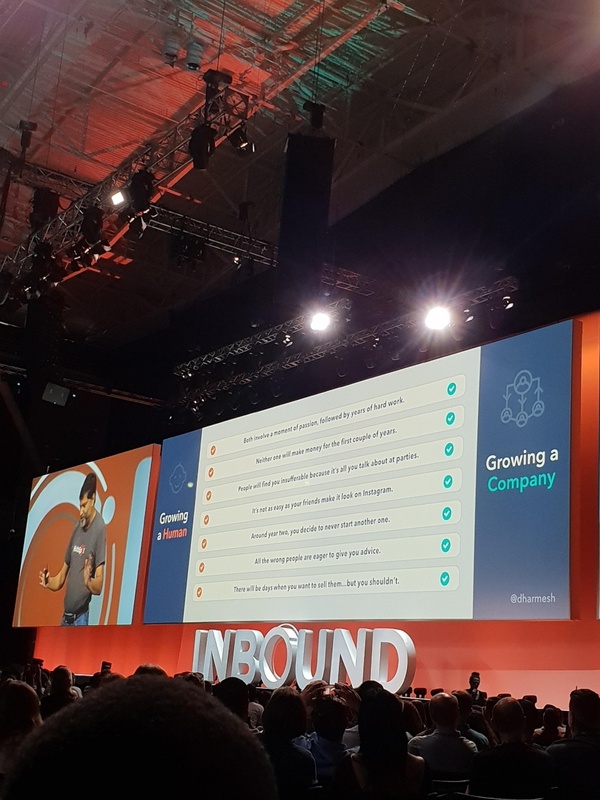 Attending Hubspot’s Inbound conference has allowed us to see where we might not be achieving a high standard, where we can improve and what we can implement to grow into a better company. We hope you’ll join us on our journey to keep growing better.